The Drive allows users to interact with object storage as if it was a network or home drive. It uses a local read and write through cache to improve both performance, and to improve fault tolerance (to accommodate network dropouts, PC being closed in the middle of a long upload etc). The explorer mimics this familiar explorer interface, but is an actual desktop application. This provides more control as the Drive is under the control of theWindows file kernel. The Drive and the Explorer have similar functionality, but in some cases, one may be better suited to a particular task than the other. You can upload and download files and folders through both the Drive and the Explorer. The Drive uses a local cache so when you are transferring large amounts of data, be aware that a copy of the data will also be stored (temporarily) in the local file cache. Downloads through the drive work in a request/response fashion so are synchronous , and large downloads can sometimes show a brief hourglass while files are being brought down into cache. Uploads are asynchronous as they are tiered to the object storage in a way that is not dependent on the kernel of the Windows file system. You can rename files, and folders too, through both applications. 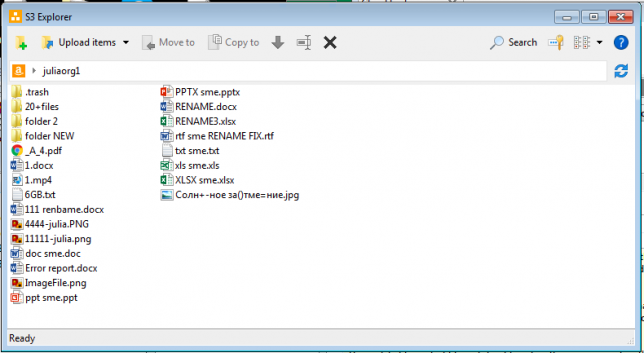 A file rename on object storage systems is implemented as a PUT COPY and DELETE (sent to the object store )and doesn’t require any data be downloaded to the client. Both apps implement a folder rename in the same manner by iterating through individual files (aka objects) of the folder hierarchy. While performance is the same for both the Drive and Explorer, for very large folders, the time taken for the operation, can make the Drive seem unresponsive as the rename takes longer than the windows file system expects . For this type of operation we would recommend the Explorer as it is not tied to the Windows file system kernel. Copying is implemented differently for the Drive and Explorer. The Explorer implements the copy like the rename, by transparently sending copy commands to the object storage server for each file. With the Drive however, the copy is executed by the operating system which downloads and uploads the complete file for each copy. If you are copying data between the Drive and another location, no problem, just be aware of the cache needed. However, if you are copying data between two locations within the Drive itself, be aware that data will be needlessly downloaded and uploaded. For larger data sets use the Explorer instead. Deletes are handled like the rename. The operations are the same for both applications. Since this is a synchronous operation, be aware that the drive may seem unresponsive for a period of time if there are many files or particularly large files. In that situation we recommend using the Explorer. 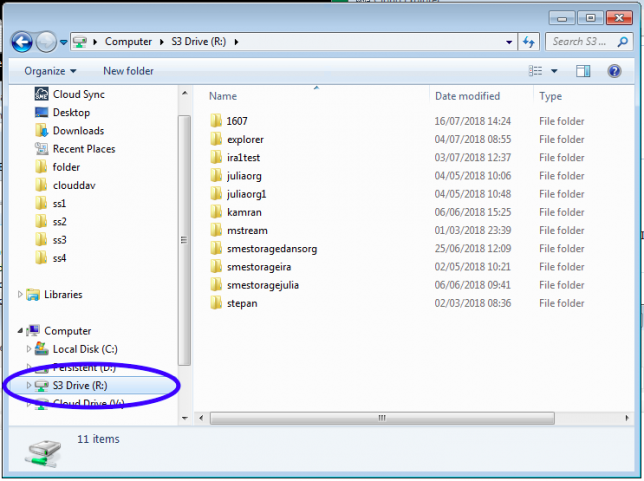 Note that only the Drive can be scripted (using the drive letter or UNC) and that the Drive also allows objects to be opened by native desktop applications as it appears as a normal drive letter. Note that only the Explorer supports searching and, for object stores that support it, the generating of temporary share links. Note that only the Explorer supports automatic encryption on uploads to object stores (unless you are using a third party tool with the drive). Because there are some situations in which the Explorer is the better choice and others in which only the Drive will work, we think that most customers will benefit from having both. To that end we are offering both for price of one for a limited time. This offer isn’t on our website yet; look for it in a couple of weeks. If you can’t wait, just drop us a line at support@storagemadeeasy.com and we will tell you how you can get the special pricing now.